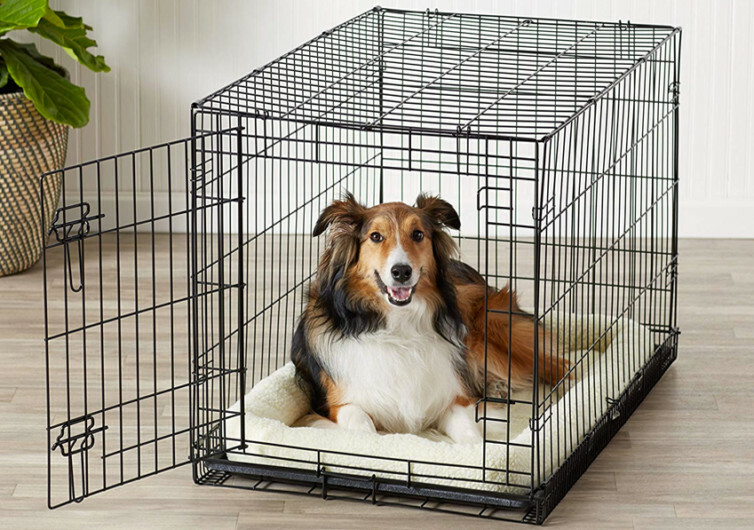 True to its promise of delivering quality pet products at friendlier prices, the AmazonBasics Folding Metal Dog Crate is great for budget-conscious pet parents. 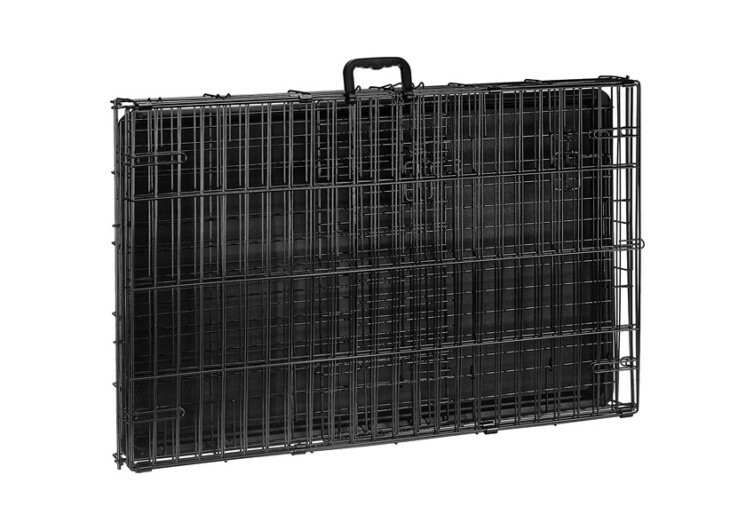 This is a very simple wire dog crate that is sturdier than it looks. It doesn’t come with fancy designs and ornaments that can be pleasing to look at but the AmazonBasics dog crate can get the job done. 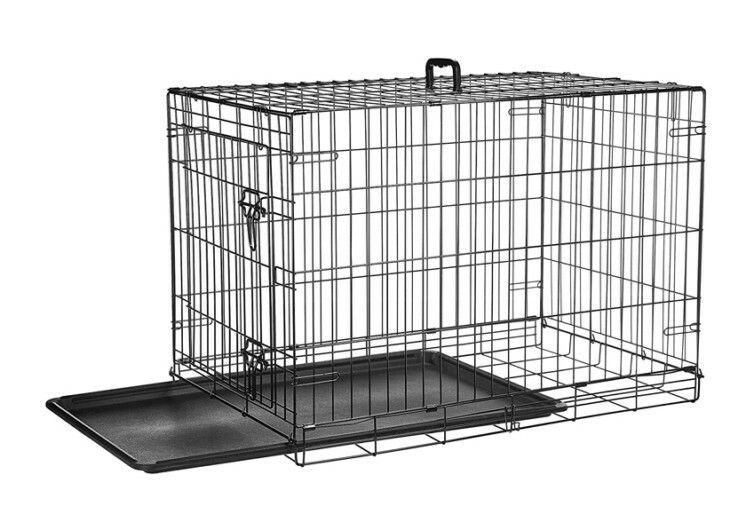 The sturdy metal construction of the AmazonBasics dog crate is something that many pet parents love. 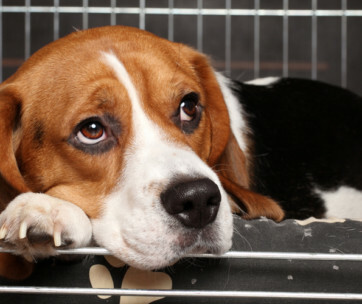 It gives them the reassurance that this crate is going to last more than a dog’s lifetime. The corners are never sharp, making sure you don’t get hurt if you bump into it. It won’t hurt your dog either. The individual vertical bars are thick enough to withstand chewing by heavyweight chompers. Its spacing is adequate to prevent your dog from slipping any part of its body. The wire design of the AmazonBasics is perfect for keeping your pet cool on warm days. There are no solid wall panels that can block the efficient movement of air. 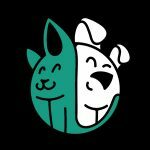 The same design is perfect for ensuring complete visibility of your pet. As you know there are some dogs that have serious separation anxiety issues. There are no solid panels that can block your dog’s view of you. 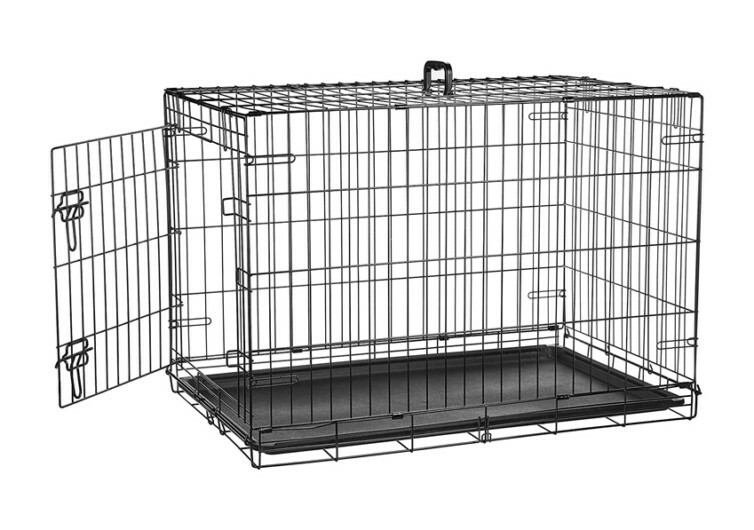 The AmazonBasics Dog Crate also comes with a divider panel. This is easy enough to remove in case you want a bigger space for your dog. The good thing with a divider is that you can apportion one section of the dog crate as your puppy’s potty area. The other section is for its living and sleeping quarters. 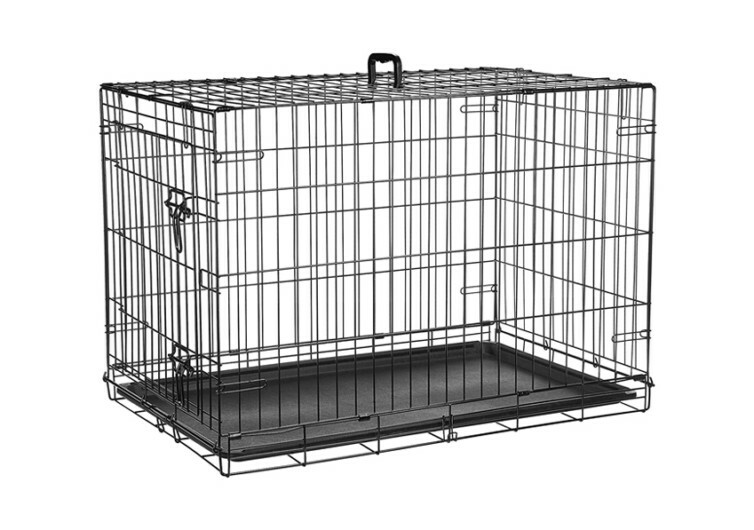 The single-door variant of the AmazonBasics Dog Crate allows for easy placement of your pet. It swings wide open without trouble. 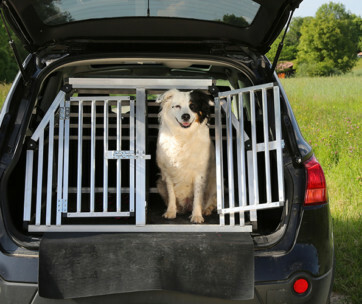 It’s perfect for keeping the interior of the crate clean and for fixing your dog’s bedding. There are two secure latches on the door of the dog crate. These feature a sliding bolt mechanism for easier operation while ensuring optimum security. 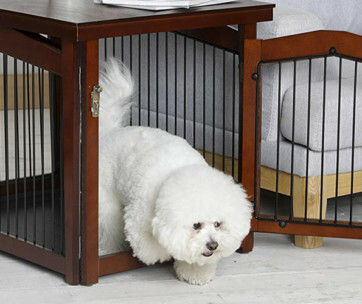 This dog crate is portable, too. You can fold it in a jiffy and store it under your bed when not in use. It also comes with an integrated carry handle so transporting it is never a problem. The plastic bottom pan is easy to clean, ensuring a more hygienic resting place for your pet. The AmazonBasics Folding Crate has everything you need in a simple yet functional dog home.